Your Employment Solutions' Staffing Process Can Hire Better, Faster, & Cheaper Than You. How much does it cost your company on average to hire a new employee? How much total time and effort goes into the process? In this staffing article (which inspired this post) one hiring manager says it costs their company $800 to $1000 to hire a single new employee. Some businesses might spend less, others absolutely spend more. As a staffing company, Your Employment Solutions is continuously spending money with local and global advertising outfits like KSL Jobs, Newspapers, CareerBuilder, Indeed, our own Utah Job Board, and more to help keep a solid, current candidate pool. Not only that, but we understand how to leverage the power of social media on Facebook, Google+, and YouTube to attract the right jobseekers to the right Utah jobs. Our talent database has more searchable available candidates than any client would ever have in a lifetime and it constantly grows. In addition, our name recognition is key. Your Employment Solutions is known as a one of the best places to find Utah employment. Search “Utah Staffing” right now, and see for yourself how YES ranks. Every year our doors stay in motion with thousands of candidates walking through searching for employment. Our staffers are trained in the art of finding and hiring jobseekers. It is our niche. It is the purpose of our business. Hiring is what we do, and we do it very well. Our professional recruiters and account managers screen each candidate for multiple job opportunities and together decide what job opening is appropriate. Force-feeding an open job to an applicant is not a good employment solution. It never lasts. Listening and personally engaging with the applicant, and finding the right fit based on their talents and skills always has a much better outcome. As I mentioned, we have an active, current pool of jobseekers. We've interviewed a lot of people over the years and we know how to send the right person to the right job – with the right company. Sometimes a person isn't a good fit with one company and gets passed over, then a few days later, turns out to be a perfect fit for a different company. Also, temporary staffing agencies are far more robust in terms of the type of employment we can offer than you might have previously believed. In fact the types of employment staffing agencies hire for include short-term jobs (of course) as well as a large amount of long-term, contracted, and direct hire positions. YES understand each and every client has a different set of needs, desires, and wants. We customize our staffing process to fit our client's unique needs. For example, if workplace safety is your issue, YES will customize safety protocols to improve theses issues. If attrition is a problem due to poor quality of employees, allow YES to customize the on-boarding and credentialing process to reduce turnover. Hiring and employment is all we do. 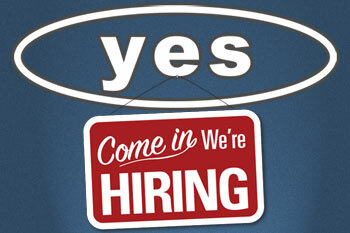 We maintain an active pool of current candidates looking for work. The hiring process is expensive, time-consuming and inefficient. Allow YES to help. Our uniquely certified recruiting and staffing process allows us to hire better, faster and cheaper than you. Your Employment Solutions is Utah's premier staffing agency! Reed Laws is the president of Your Employment Solutions. His business passion for the past 18 years has been helping to make Your Employment Solutions the finest staffing agency in Utah. What Would the World Look Like if Staffing Didn’t Exist? Please call our office at 801-298-9377. We’d love to see if we can help find you a job.